GET 60% OFF THIS MUST-HAVE Tactical Military Buckle Belt! LAST PIECES! Limited Time Only Not sold in stores. GEAROLL Epic Giveaways Today Only: Buy 3 and Get 1 for FREE! >> MAKE SURE THE 4TH ITEM IS ADDED TO YOUR CART and we’ll make it FREE at Checkout! Literally brace yourself with this heavy duty Tactical Military buckle belt! 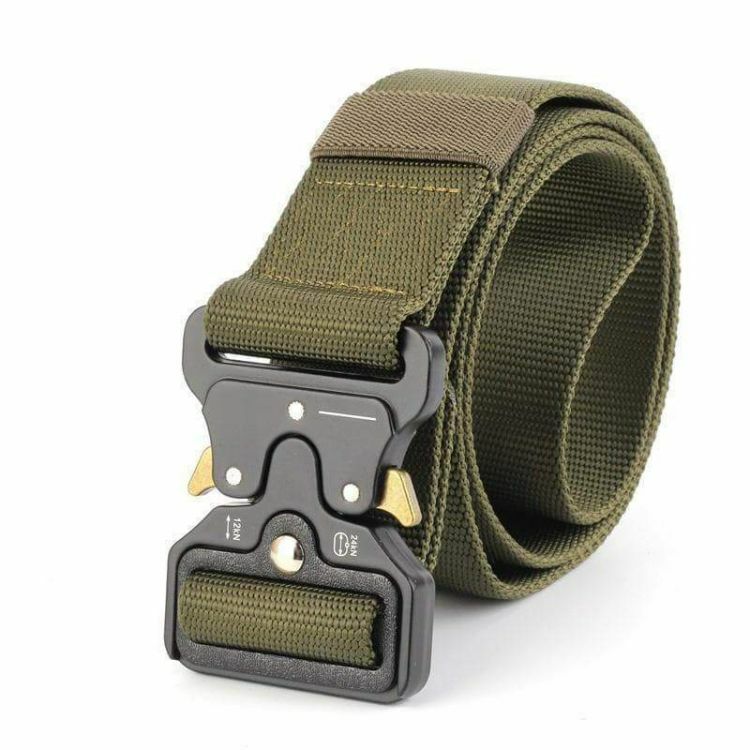 It made from military grade steel and zinc alloy, it has a quick release metal cobra buckle and 1.6-inch wide military grade heavy-duty nylon canvas. It is easy to fasten well and will stay in place at all times. Though heavy duty, it is highly durable and very comfortable to wear. Widely used on waist, backpacks, tactical vest, etc.